Fishing remains good to very good with the morning trips producing the most fish. 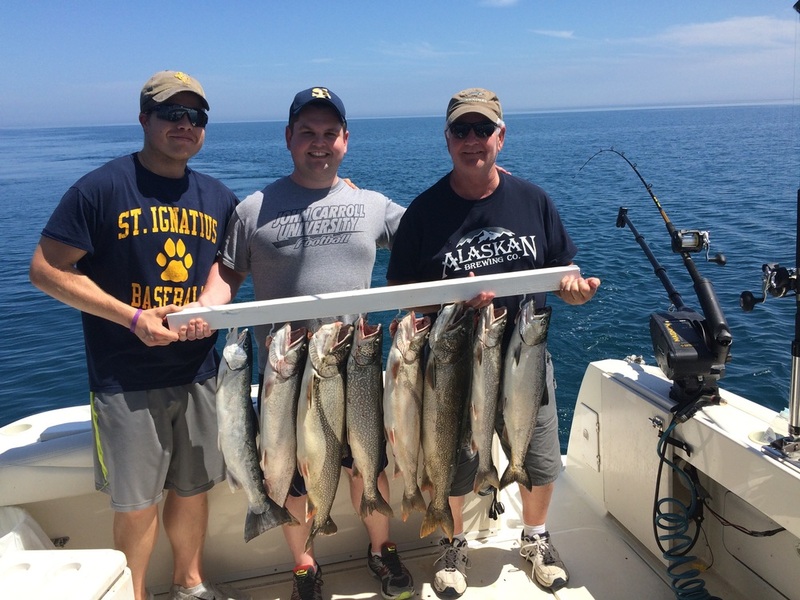 Sunday we got out for 5 hours of fishing and landed 9 fish- 7 lake trout, 1 steelhead, and 1 King. As the weather warms the salmon should start to show back up again in better numbers!